The Gilis are three small islands off the coast of Lombok,a few hours east of Bali. All three were badly hit by a magnitude-7.2 earthquake seven months ago. 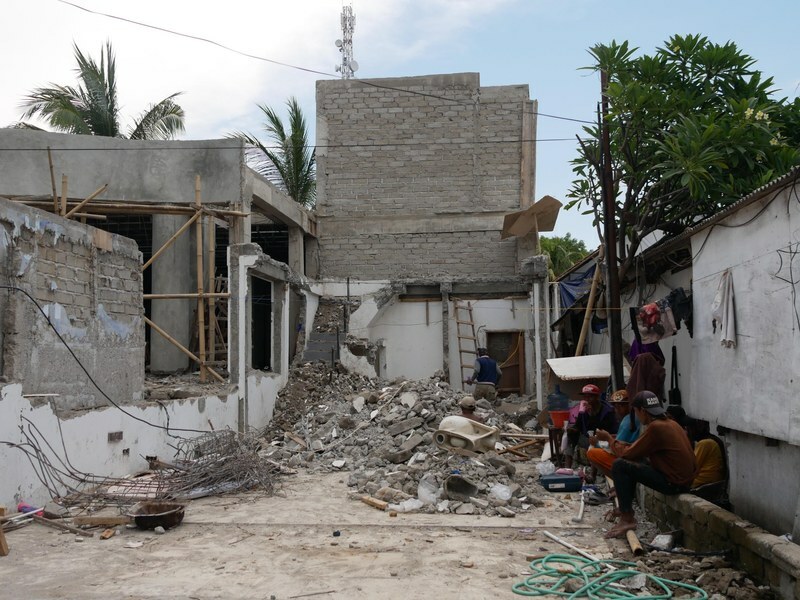 All cement structures collapsed, no building on the beach survived, and all three islands had to be completely evacuated. But now you can barely tell. There are still a few collapsed buildings, and not all the rubble has been removed, but the Gilis are definitely back in business. 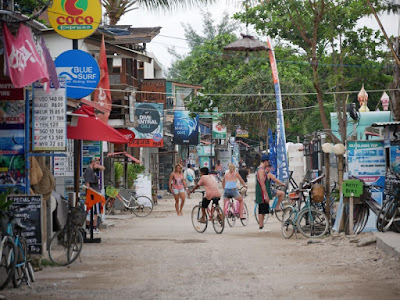 There's still no motor traffic, but the largest of the three - Gili Trawangan, also known as the party island Gili Tralala or simply Gili T - has not improved. The beach promenade is now paved, and packed with shops back to back. The old mellow vibe is completely gone, although you'll still find rasta guys offering 'shrooms and marijuana.